Snacks are more than just food. Lovers meet, friends bond, and families come together over snacks. Not to mention the ‘me time’ that we need from time to time. But, scientists have found that unhealthy snacking contributes to one-third of the daily energy intake, causing weight gain (1), (2). High-calorie, salty, and sugary snacks also contribute to other health issues (3). Is there a better way to snack? Yes! Consume snacks rich in protein, fibrous carbs, and/or healthy fats and under 100 calories. Here are 21 delicious snacks to curb your cravings. Take a look! 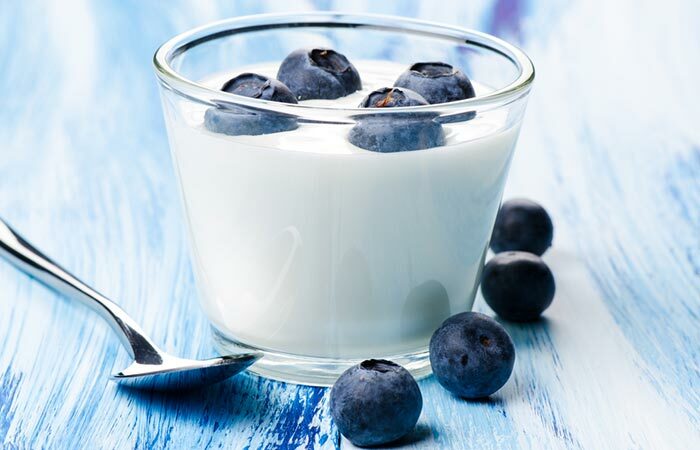 Full-fat yogurt is a rich source of probiotics, proteins, calcium, potassium, magnesium, and healthy fats. Blueberries are loaded with vitamin C, folate, and dietary fiber. 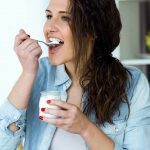 Consuming full-fat yogurt is more beneficial than consuming skim milk yogurt and may help lower the risk of depression (4), (5). You will remain full for a long time and get all the benefits of nutrients in this delicious combo. Hard-boiled eggs are amazing sources of water-soluble and fat-soluble vitamins, proteins, and healthy fats. Tomatoes are storehouses of antioxidants. Consuming these as a snack will give you energy and keep you full for at least an hour. It will also help strengthen your immunity and bones, lower LDL cholesterol, and improve heart health (6), (7). Strawberry and chocolate is a timeless combination. 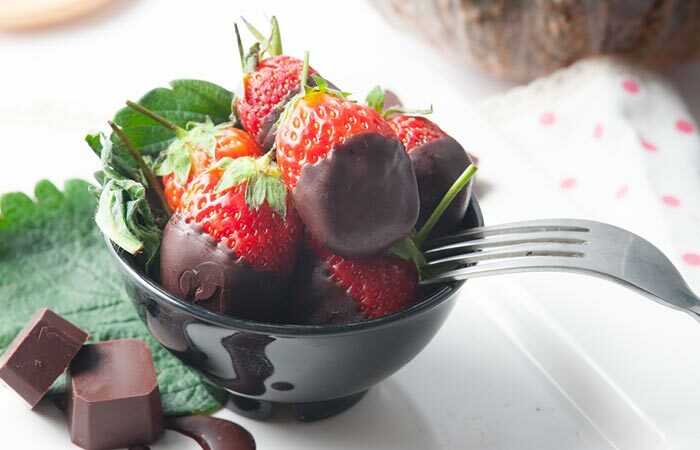 You can enjoy half a cup of strawberries and semi-dark chocolate if you are craving for something sweet and yet not fall off the “healthy” wagon. Buy semi-dark chocolate chips and melt a tablespoon of them. That’s all you need to do to get a good dose of vitamin C, dietary fiber, and feel good hormones from this yummy snack. At 85 calories, apple and almonds are a good way to keep your tummy filled for at least an hour. Apple is loaded with nutrients that help protect the heart and prevent the risk of diabetes, cancer, and asthma (8). Almonds are rich in monounsaturated fatty acids, dietary fiber, magnesium, and copper. Research has shown that almonds may reduce cholesterol levels, inflammation, oxidative stress, and risk of diabetes (9). Celery is touted as a negative calorie food, meaning, you expend more energy digesting it than the number of calories you get by consuming it. 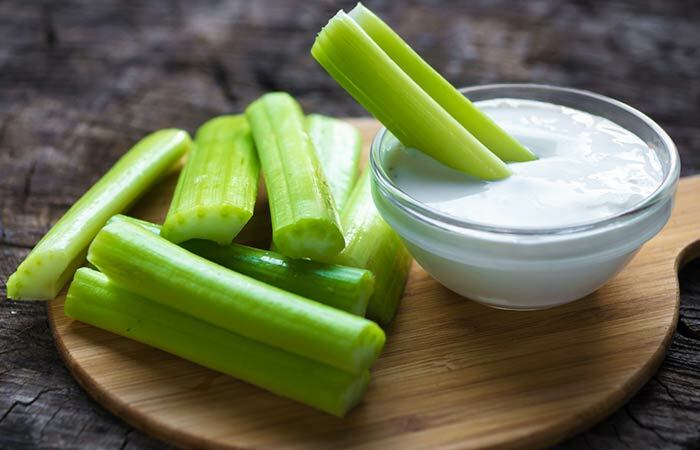 Celery’s crunchy texture complements the soft and delicious dip made with yogurt and sour cream. Try it! It’s great for curbing all that craving for salty munchies. Baby carrot and hummus is a yummy and healthy combo that contains good carbs, protein, and healthy fats. Carrots are good sources of vitamins A, K, and folate and minerals like calcium, potassium, phosphorus, and magnesium. Chickpeas, the main ingredient of hummus, contain about 3 g of protein and are good sources of other vitamins and minerals. You will not feel hungry for at least two hours if you have this snack. 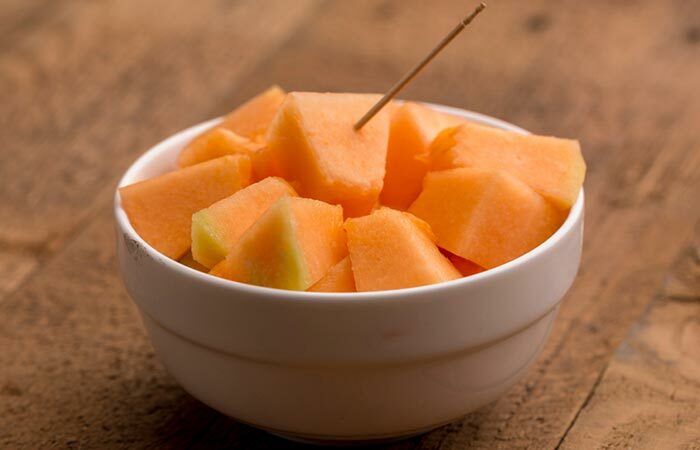 Cantaloupe is a mildly sweet and juicy fruit belonging to the melon family. A cup of it contains protein, vitamins A, C, K, and folate, calcium, magnesium, phosphorus, potassium, and omega-3 fatty acids. Combining it with pepita and lime juice will not only add texture to your snack but also make it yummy. You can also juice or make a smoothie if you are on the go. Have 15 pumpkin spice almonds, and you will be set to rock that meeting or workout session in 30 minutes. Almonds are loaded with dietary fiber and healthy fats that help keep you satiated for a long duration and help reduce inflammation in the body (10). 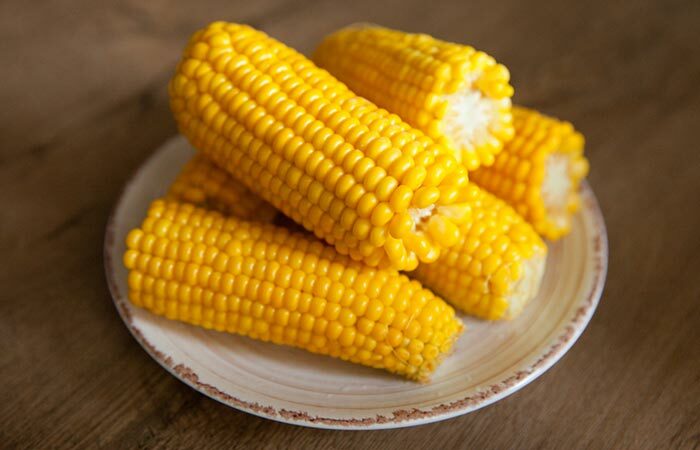 Boiled corn and sprouts are good sources of dietary fiber and protein. It is best to consume this salad before your workout session. It is a good antioxidant as it contains vitamins C and A and minerals like calcium, magnesium, and phosphorus. Scientists have found that consuming corn and mung sprouts can help reduce cellular damage, risk of cancer, and kidney stones and improve joint motility and antioxidant activity (11), (12). Toss the boiled corn and sprouts with salt, pepper, and a bit of lime juice to have a quick snack and re-energize your body. Navy beans are loaded with protein, dietary fiber, folate, calcium, iron, and magnesium. Pomegranate is a storehouse of antioxidants and helps lower oxidative stress, LDL cholesterol, and glucose levels. It is a potent anti-inflammatory and anti-cancer fruit (13). Consume a cup of homemade (preferably not strained) pomegranate juice as a snack to keep your hunger pangs at bay and give your body a dose of antioxidants. 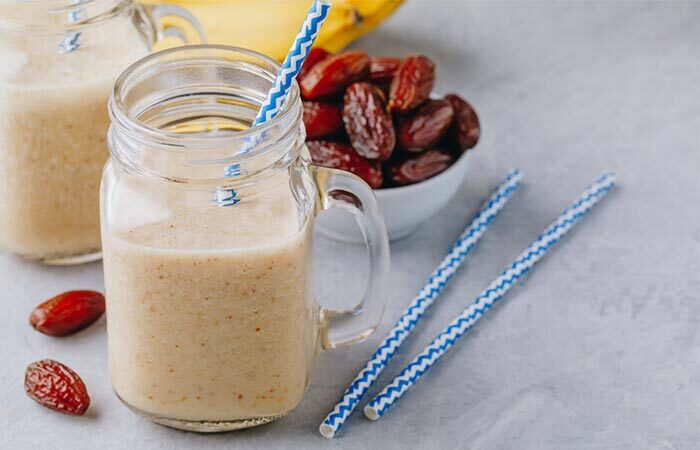 A cup of full-fat milk with two dates is a good option when you do not have the time to make a juice or fix a quick snack. Pour the milk into a glass, toss in two chopped dates, and drink it. Milk is great for your bones, and it reduces the risk of diabetes, obesity, cardiovascular disease, and cancer (14). Dates may act as anti-tumor, anti-inflammatory, and antioxidant agents (15). Have a cup of watermelon with feta cheese when you are hungry just about an hour before lunch or dinner. Feta cheese is a good source of protein, dietary fiber, vitamins A, C, and folate, and minerals like magnesium, calcium, phosphorus, and potassium (16). Watermelon gives you a super dose of lycopene, an antioxidant that helps flush out toxins and protects from cancer, Alzheimer’s, and cardiovascular diseases (17). 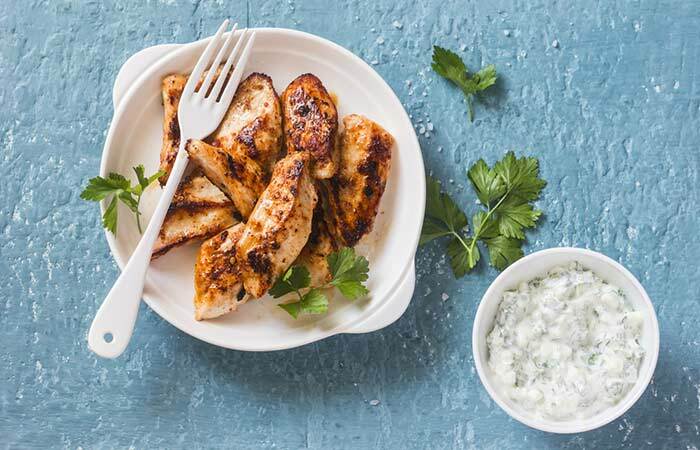 Grilled, skinless chicken breast and homemade raita are perfect for curbing hunger and craving when you have to rush in the morning and do not get time to have a fulfilling breakfast. Heat the chicken breast and add some seasoning and herbs. Chop the cucumber and carrot. Add them to yogurt, add salt and black pepper, and mix well. Consume two tablespoons of raita with chicken breast, and you’ll get a good dose of protein and good carbs. Dark chocolate (70-80%) has innumerable benefits. Yes, it tastes bitter, but it is amazing for your health. According to the Harvard T.H. Chan School of Public Health, the flavonols in dark chocolate help protect the heart, improve blood circulation, lower blood pressure, and reduce the risk of diabetes and cancer (18). If you are craving chocolate and feel hungry at the same time, go for dark chocolate with almonds. 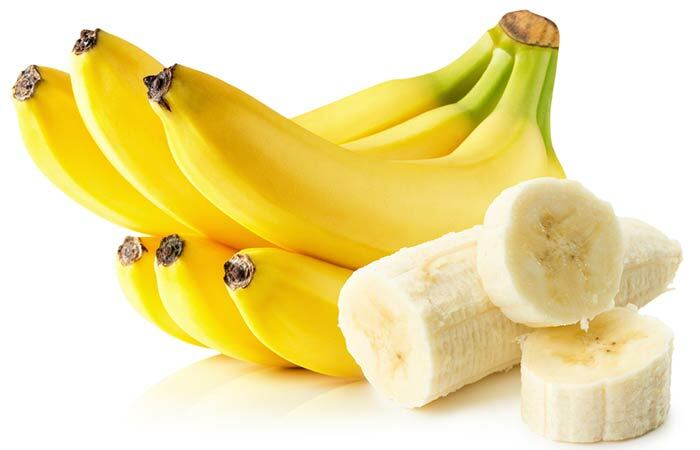 Banana fills you up, gives you a good dose of dietary fiber, potassium, vitamin A, folate, carotenoids, phenolics, and phytosterols that help lower the risk of many chronic diseases. It also gives energy, strengthens the bones, and reduces oxidative stress (19). You can have a banana 30 minutes before your workout. The good carbs in it will provide energy for you to rock your workout session. Bengal gram is a good source of protein and dietary fiber that helps lower blood pressure and reduces the risk of diabetes, heart disease, and stroke (20). Cucumber will keep you hydrated and has lipid-lowering, antidiabetic, and antioxidant properties (21). Toss dry roasted Bengal gram with chopped cucumber, add some salt, pepper, and lime juice. Have it when you want to snack on a nutrient-dense and low-calorie food. 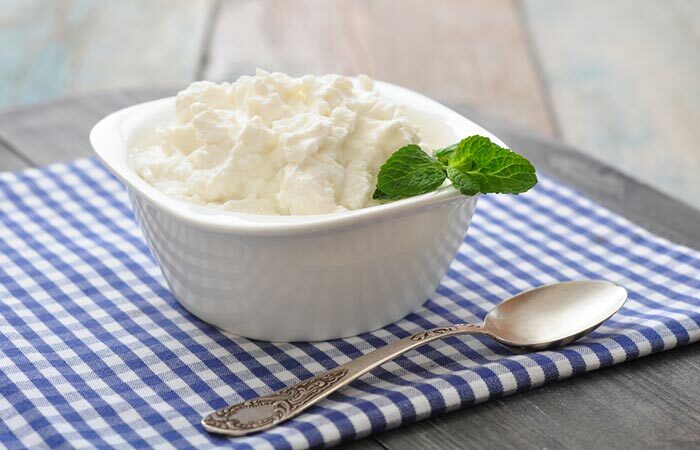 Did you know that 50 g of unsweetened ricotta cheese can provide you with 6 g of protein, fill you up for the next hour, and give you instant energy (22)? It is best to consume homemade ricotta cheese. If possible, drink the whey that separates from the milk solids for an extra dose of nutrition. You can also have it before working out. To know more about pre and post-workout drinks, click here. Pistachios, especially the unsalted variety, are great for weight loss. The healthy fats present in them reduce inflammation and obesity and the risk of diabetes and cardiovascular diseases. They are also good sources of tocopherols, carotenoids, and phytosterols that help reduce blood sugar levels (23). Home-baked beetroot chips are the best if you are craving for potato chips. Beetroot is a good source of antioxidants. It has anti-inflammatory properties, reduces hypertension, prevents skin problems, and improves stamina (24). Hummus improves insulin and glucose regulation and may help reduce the risk of cardiovascular disease (25). Make sure you do not add too much salt while baking the chips. Like beetroot chips, you can also make kale chips at home and eat as a snack. Kale is a nutrient-dense dark leafy green. You can bake it with some seasoning and olive oil. The antioxidants in kale help lower postprandial glucose levels, preventing the risk of obesity and diabetes (26). Homemade guacamole is loaded with nutrients and may boost heart health and improve blood lipid levels (27). Air popped popcorn is an amazing snack – especially when you have it while watching your favorite show. According to Joe Vinson, Ph.D., “Popcorn may be the perfect snack food. It’s the only snack that is 100 percent unprocessed whole grain. One serving of popcorn will provide more than 70 percent of the daily intake of whole grain.” But make sure you have the unsalted, unbuttered, or no-cheese variety (28). There you have it – 21 yummy and nutritious snacks under 100 calories. Snacking is an integral part of your eating habits, and tweaking it a little can help improve your overall health. Once you make it a habit of choosing healthy snacks, you will stop craving for all that unhealthy and trans-fats-loaded snacks out there on the market. Have any questions? Leave a comment in the box below. Take care! “Meals and snacking, diet quality and energy balance.” Physiology & Behavior, US National Library of Medicine. “Snack Food, Satiety, and Weight” Advances in Nutrition, US National Library of Medicine. “Factors Associated With Unhealthy Snacks Consumption Among Adolescents in Iran’s Schools” International Journal of Health Policy and Management, US National Library of Medicine. 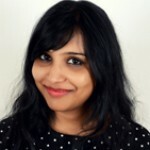 “Regular-Fat Dairy and Human Health: A Synopsis of Symposia Presented in Europe and North America (2014–2015)” Nutrients, US National Library of Medicine. 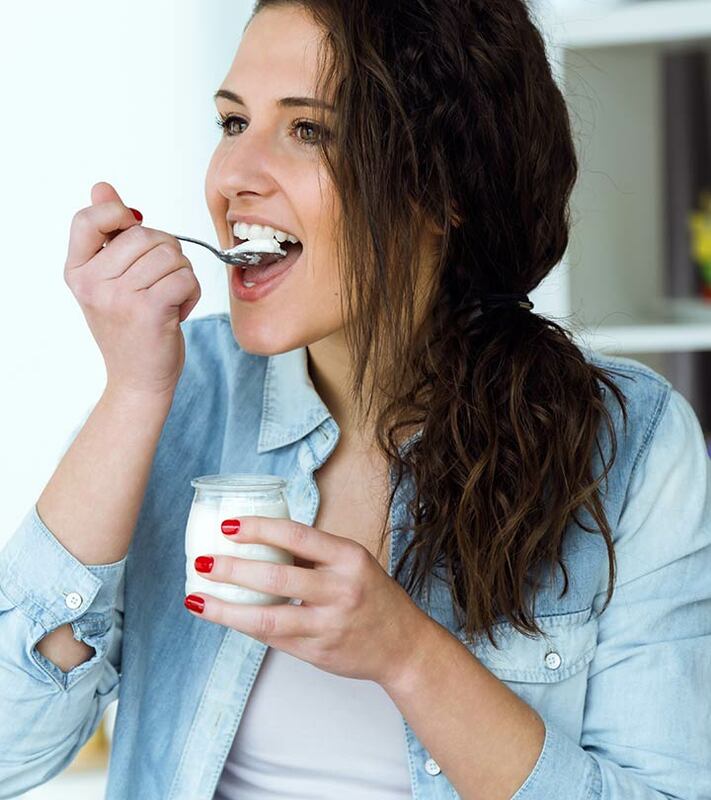 “Intake of High-Fat Yogurt, but Not of Low-Fat Yogurt or Prebiotics, Is Related to Lower Risk of Depression in Women of the SUN Cohort Study.” The Journal of Nutrition, US National Library of Medicine. “Nutrients In Eggs” Egg Nutrition Center. “Tomatoes and cardiovascular health.” Critical Reviews in Food Science and Nutrition, US National Library of Medicine. “Apple as a source of dietary phytonutrients: an update on the potential health benefits of apple” Experimental and Clinical Sciences Journal, US National Library of Medicine. “Health benefits of almonds beyond cholesterol reduction.” Journal of Agricultural and Food Chemistry, US National Library of Medicine. “Does dietary fat affect inflammatory markers in overweight and obese individuals?—a review of randomized controlled trials from 2010 to 2016” Genes & Nutrition, US National Library of Medicine. “Nutritional, Medicinal and Economical importance of Corn: A Mini Review” Research Journal of Pharmaceutical Sciences. “Effect of germination on phytochemical profiles and antioxidant activity of mung bean sprouts (Vigna radiata).” Journal of Agricultural and Food Chemistry, US National Library of Medicine. “Potent health effects of pomegranate” Advanced Biomedical Research, US National Library of Medicine. “Milk nutritional composition and its role in human health.” Nutrition, US National Library of Medicine. “Therapeutic effects of date fruits (Phoenix dactylifera) in the prevention of diseases via modulation of anti-inflammatory, anti-oxidant and anti-tumour activity” International Journal of Clinical and Experimental Medicine, US National Library of Medicine. “Cheese, Feta, Nutrition Facts & Calories” SELFNutrition Data. “Watermelon lycopene and allied health claims” Experimental and Clinical Sciences Journal, US National Library of Medicine. “Dark Chocolate” Harvard T.H. Chan School Of Public Health. “Bioactive compounds in banana and their associated health benefits – A review” Food Chemistry, US National Library of Medicine. “Legumes: Health Benefits and Culinary Approaches to Increase Intake” Clinical Diabetes, US National Library of Medicine. “Cheese, ricotta, whole milk” SELFNutritionData. “Health benefits of pistachios consumption.” Natural Product Research, US National Library of Medicine. “The Potential Benefits of Red Beetroot Supplementation in Health and Disease” Nutrients, US National Library of Medicine. “The Nutritional Value and Health Benefits of Chickpeas and Hummus.” Nutrients, US National Library of Medicine. “Hass Avocado Composition and Potential Health Effects” Critical Reviews in Food Science and Nutrition, US National Library of Medicine. “Popcorn: The snack with even higher antioxidants levels than fruits and vegetables” American Chemical Society.